Copyright 2012: Lannoye Emblems | Pins and Patches | All rights reserved. Besides using coins for challenging, they are also used as rewards or awards for outstanding service or performance of duty. As such they are used as a tool to build morale. 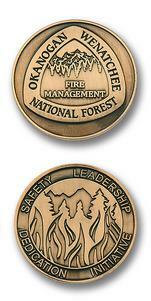 There are two main types of challenge coins available from Lannoye Emblems. The first, called "Cloisonné", is a process adopted from ancient Chinese lapel pins and uses hard baked enamels to give each coin a smooth finish. The more common process is known as "soft enamel" and leaves each coin with a textured surface, whereby the raised metal areas formed by stamping the design into metal are raised above the enamel color fills. The primary difference between the two finishes is determined by a polishing process that smooths out the raised metal areas to a point where they are even with the color fills. Hard enamel coins are polished to a smooth finish – soft enamel coins are left unfinished. 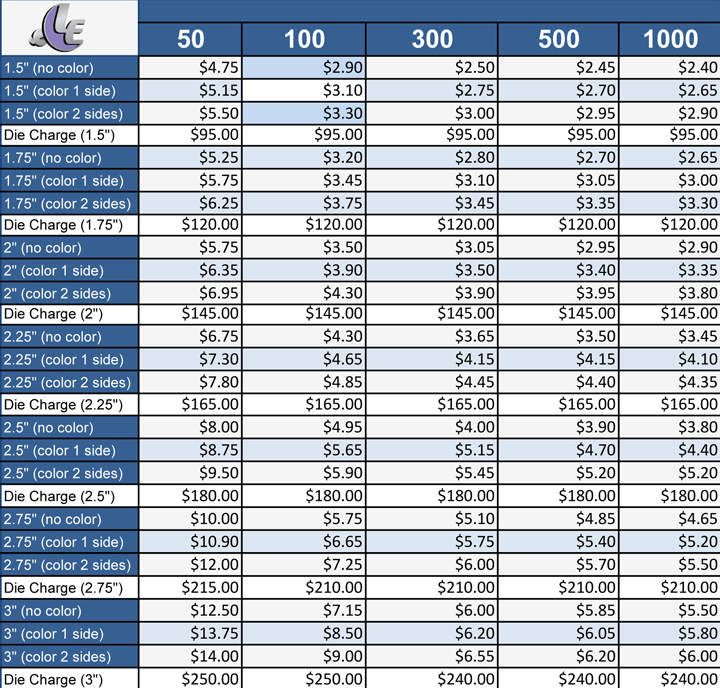 Prices above include up to 6 colors. Die charges are a one time fee. 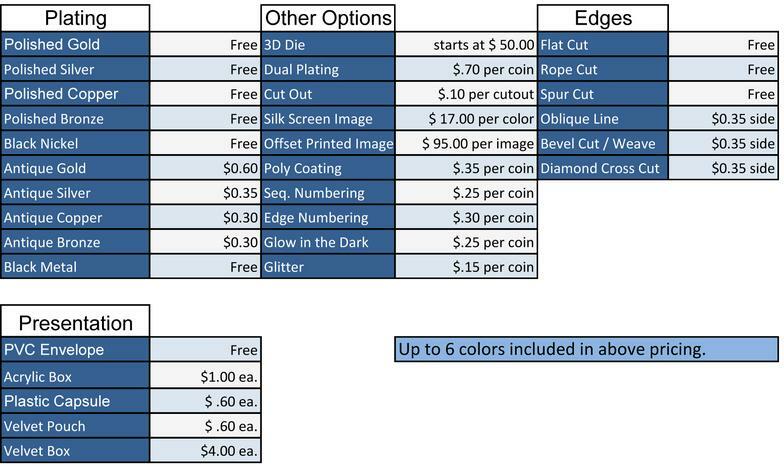 Any exact reorders within 2 years of first order will not include the die charge.